That is too damn cool! 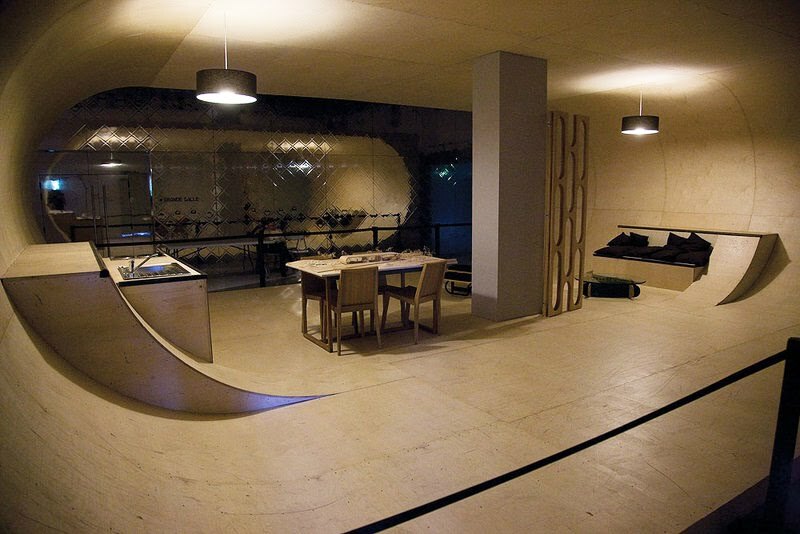 That is not just the future of skateboarding but the future of how we can live in our spaces! you know , this is the best part of your blog . you like fashion . you like skateboarding . LIKE WHAT ! YOURE PERFECT ! and yeah when i saw the vid of the architect describing this house i was just gawking repeatedly at the screen . i loved this!!! i was there this summer!!! its La Gaîté Lyrique… and the big metal box in the back is a sound proof concert cube… the place is amazing!